If you’re a plastic surgeon, you already know that showing off some of the amazing physical results of some of your surgeries is one of the best ways to gain new clients. There’s no better place to display these results than on Instagram since it is a photo heavy platform. 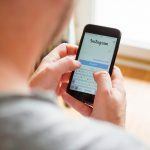 If you’re looking for a new way to grow your plastic surgery Instagram account, you might want to consider your different advertising options. 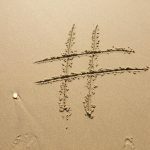 Advertising the right way can help you gain more followers and therefore potential new business. 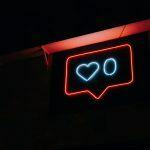 Find out the top 5 ways to advertise plastic surgery on Instagram with these tips from Practice Affiliate. When you promote your plastic surgery on Instagram, this will attract the right people to your profile without doing much work on your end. If you don’t know how much to spend, try out $20 to see what kind of results you can achieve with it. Another way to advertise your plastic surgery account on Instagram is by collaborating with other accounts. If you see other plastic surgery accounts that have more followers than you or even plastic surgery products you think have an ideal audience for you, send them a message and ask if there’s any way you can collaborate. In most cases, accounts will want you to share their account and they will share yours for you. This is an easy way to network, create new friends and grow your account for free. If you try to collaborate with other pages, there might be some pages who are open to you paying them to post for you. Before committing to this, ask them to see how many impressions each post creates to make sure it’s worth your while. If you can reach a decent amount of people for a fair price, this might be a better option than using Instagram’s promotion feature. If you want to get the most bang for your buck, make sure the content you are advertising is worth it. The better your content, the better your results. If you need help producing awesome Instagram content or want to learn more about advertising on @plasticsurgery, give our experts at Practice Affiliate a call or fill out our online form to learn more. We are happy to help!